Height levelling feet as standard. Heavy duty centre rails provide extra rigidity. An additional modesty panel is available to purchase separately. The beam leg system is supplied with integrated cable trunking. 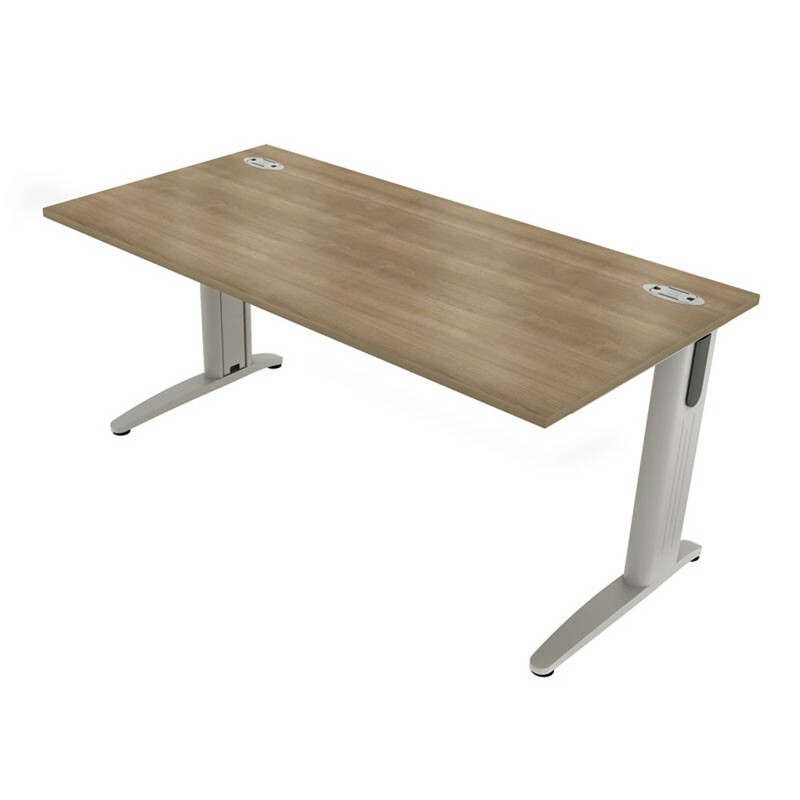 The universal leg can be positioned to provide left or right acess to the cable management. Removable cover plates feature on the inside of each leg, allowing the wires to be easily concealed. Wood finishes are heat, stain and scratch resistant when used for intended purposes.